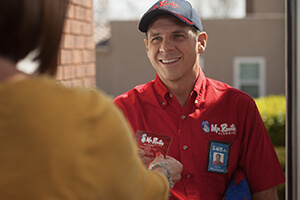 Had Mr Rooter our twice for two different needs! Both times they were professional and did a wonderful job. They came when they said they would and reassured me they would follow up with the secondary work that needed to be done. they were very nice. I didnâ€™t have to wait a long time for them to come. The tech explained everything before he did the repairs. Neil was very helpful and friendly! I was also able to get him to come out in a time frame that was convenient for me!